Today we’re going to talk about how to say should have in Spanish. There are two ways to say should have in Spanish, but you’ve probably only been taught one, and both ways use the verb deber. Let’s look at how to use them. We have the verb deber which will have to be conjugated in the conditional tense. If you need help conjugating the verb deber here’s a fantastic conjugation chart you can use. After that follows the helping verb haber. It doesn’t need to be conjugated, you just use it as is. And lastly you need to use the past participle of the verb in question. All that means is you need to use the “-ido” or “-ado” version of the verb. 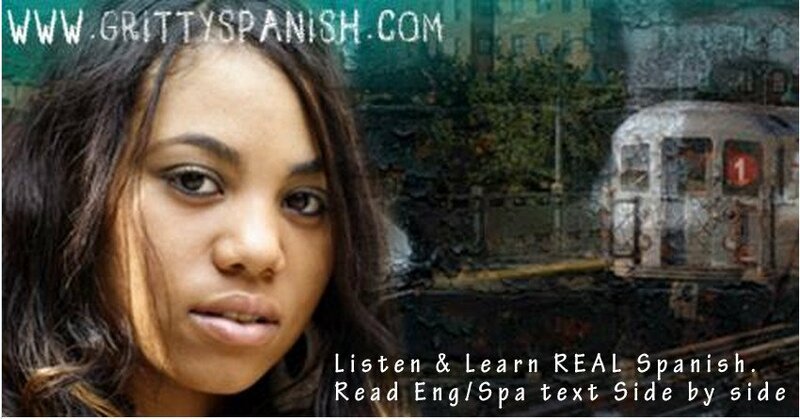 Here’s an article that explains how to form the Spanish past particle in plain English if you need help. There you go. Simple right? Let’s move on to option 2. In this case we need to conjugate deber to the simple past tense and the but pattern is identical to the one above. Let’s look at this in action. And if you need help with the conjugations, you can use the same conjugation chart I referenced above. And there you have it, the second way to say “should have” in Spanish. Using deber in the conditional tense is likely what you were taught in school or by a grammar book. It’s commonly used in spoken Spanish, although it’s inappropriate for formal writing. Which is odd, because it appears in every grammar book I’ve ever seen. My Colombian maestra (at the time) also informed me that it’s more of an anglicism that has crept it’s way into Spanish. Given that this form is considered inappropriate for formal writing, she’s probably right. This is also supposed to be the kinder, gentler way to tell someone what they should have done. 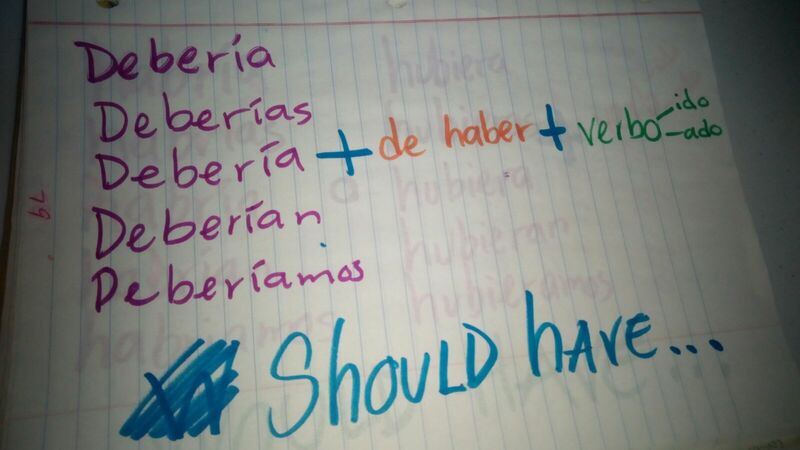 Saying “should have” in Spanish using the simple past tense is what you should be using for formal writing. I hear native Spanish speakers use this structure a lot, possibly even more than using the conditional tense. But that could be a regional thing. The other thing you need to know is that this structure could be considered very direct and potentially make someone feel like they’re being chastised. But like most things, I imagine how you say it makes a big difference, so I wouldn’t worry about that too much. And that’s it, two ways to say should have in Spanish. That’s totally up to you. Despite what may be very minor nuances between the two, they’re both valid ways to express the idea of “should have”. I’ll leave you with the same advice I give my Spanish students. Use the one that’s easiest for you to pronounce and remember. I know this post is old, but it was quite helpful and I wanted to let you know that. I am learning Spanish from a native speaker and we just started this today and I was quite confused. One question I have is that she used the past tense of deber and not conditional. For example: Debiste de haber pensado antes de hacerlo. Somehow I didn’t see your question until I went to update this post and address the exact same thing you asked me about. Four years later is a horrible turnaround time and you’ve probably gotten your answer by now. But if not, and you actually happen to still be following my blog, the answer is yes, and you can read about it now that I’ve updated this post.